Pure Maple Syrup is just one ingredient, sourced from nature and delicious for Breakfast as well as in recipes and drinks. Because it is Tapping Season, the magical time when the rich, naturally sweet maple flows from Vermont trees, and with March 25 as National Waffle Day, it’s the perfect time to at your weight in pancakes, waffles, french toast, oatmeal and more. I can eat breakfast anytime of the day and crave things with syrup on them especially if I smell or see it whether in a photo or a commercial. My husband is the same. Whenever he sees me using syrup he suddenly wants pancakes. Not a great photo but this has been me lately. 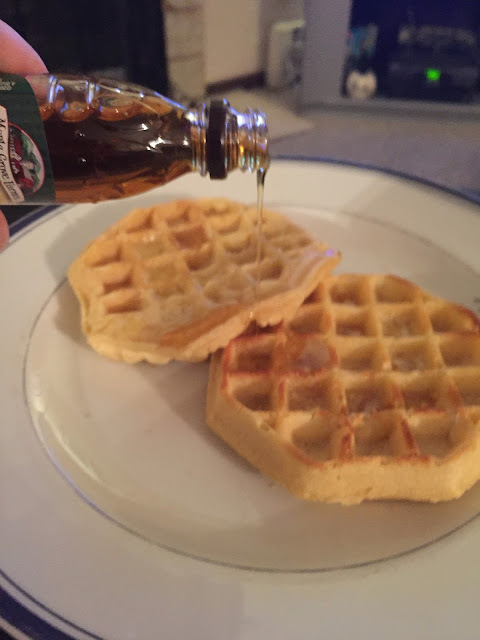 Whether for linner (lunch and dinner) or breakfast I have been on a syrup craze. 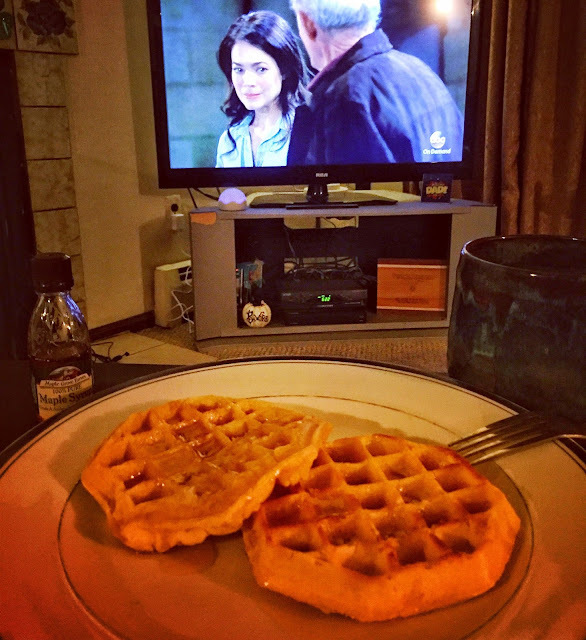 Early morning catching up on General Hospital (I am always behind) I have been eating my fair share of waffles. What I love about Maple Grove Farms is that it is 100% Pure. There is no other ingredient and you can really taste the difference. There is no corn syrup, fat, sodium or cholesterol. AND I was truly shocked to see how many ingredients when I looked at the syrup I have been using for over 3 decades. I will NOT ever use another syrup. The taste is in the pudding syrup and I am forever changed. Looking forward to trying Maple Grove Farms Organic syrup next. 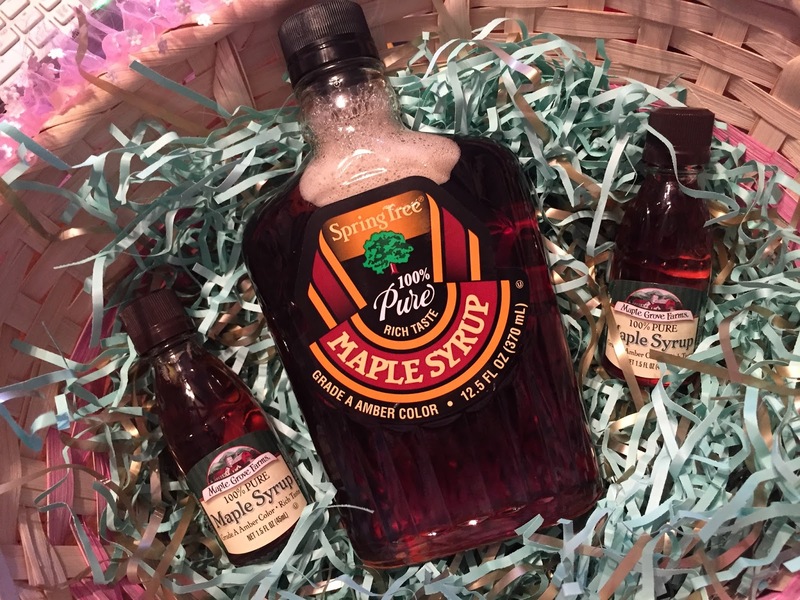 Guys, Maple Grove Farms isn't only about syrup they also have dressings, baking mixes, sugar free products, and MAPLE CANDY. I LOVE maple candy. The best part is that I can get this at my local supermarket. I just checked the website and they have it!!!! You can check if it is available by you here.